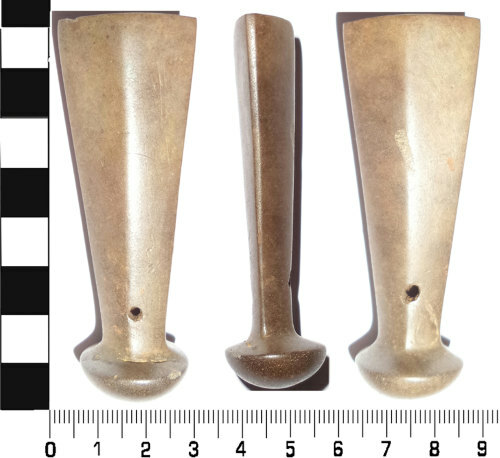 Cast copper alloy chape dating from the Late Bronze Age, that is c. 1000-800BC. 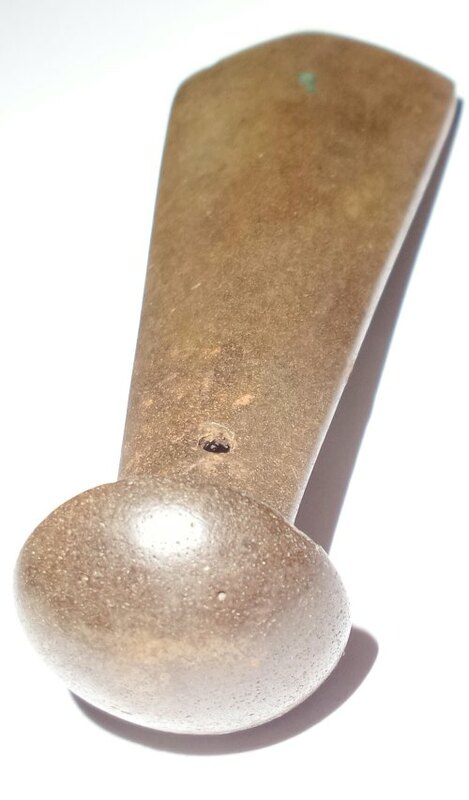 The chape is related to the tongue-shaped chapes and is part of the Wilburton metalworking industry of the Late Bronze Age. It survives complete and in excellent condition. All surfaces are smooth and of golden-brown colour. It has a diamond-shaped cross section throughout with a probably solid-cast squere at the bottom. 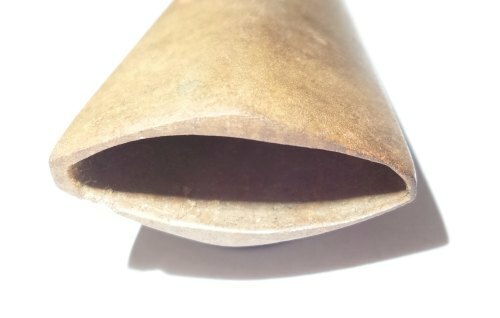 There is a small hole on either side to attach it to a scabbard which was probably made from leather. A very similar chape was recorded under SWYOR-4A2F62. NB: The original images were kindly provided by the finder.